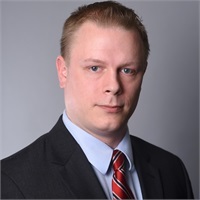 George Brewster | Concordia Financial Group, Inc.
George joined Concordia Financial Group in 2012 while he was a student at William Paterson University. He graduated in 2013 with degrees in Accounting and Financial Planning. Prior to joining Concordia, he worked in the insurance industry and holds insurance licenses for Property, Casualty, Life & Health Insurance. George keeps very busy coordinating Concordia seminars and educational forums. His responsibilities include implementing and maintaining personal financial websites, assembling data for client reviews and planning. He also manages the day-to-day operations of the office and client access to the firm’s wealth management website.